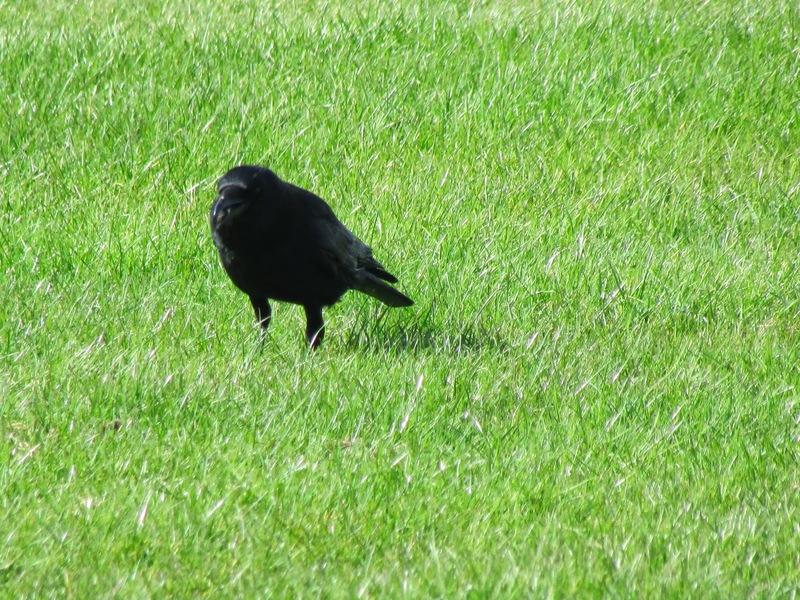 A Carrion Crow collected food in its bill and gular pouch on the University playing fields. 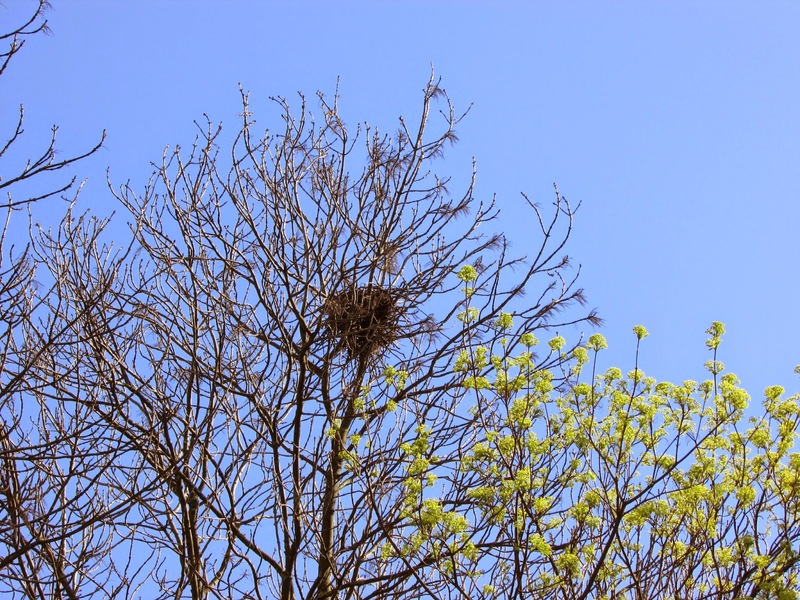 Sitting in the nest atop a still bare ash, its mate called repeatedly, a begging, hoarse, nasal call, kaaaa! 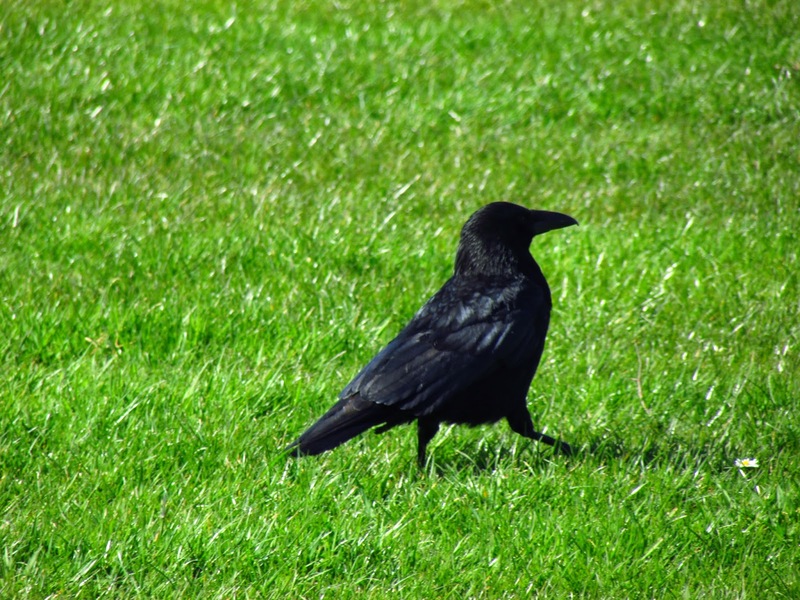 similar to a Rook's. The crow collecting food - most likely the male - looked up to the nest and flew heavily upwards in circles, stopping on a roof on the way. The female called again and flew off the nest to meet him, calling like a fledgling would do, crouching and wing flapping. The begging and feeding carried on out of sight on the roof. 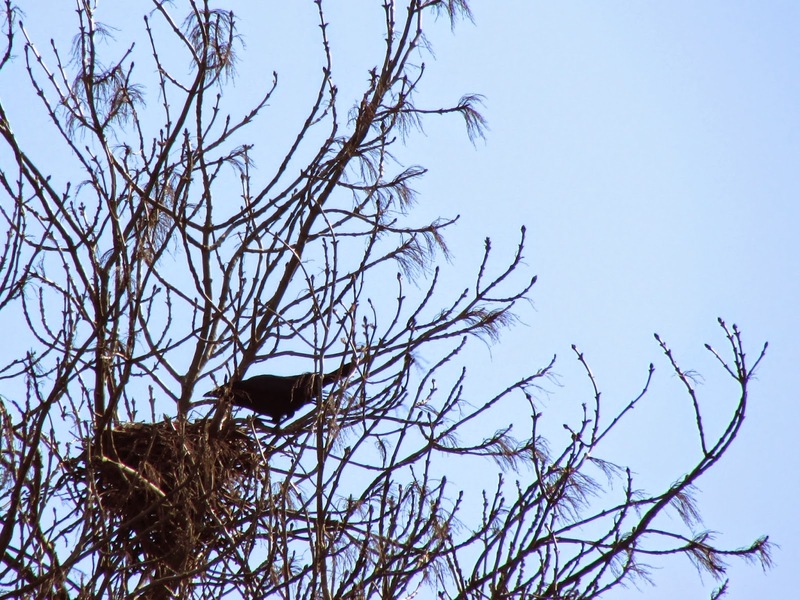 In Carrion Crows, the female incubates and is fed by the male during this time, so it is likely that the nest on the ash tree already has eggs. 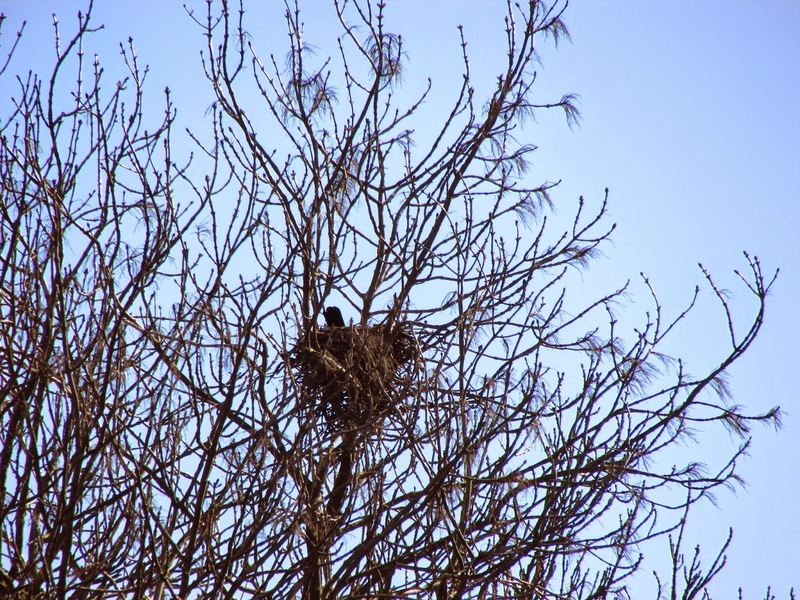 The female's tail sticks up from the nest.